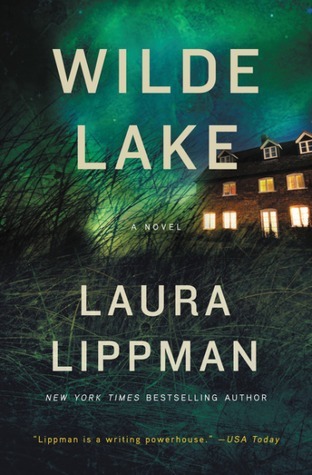 Today I'm featuring Wilde Lake by Laura Lippman, an upcoming read borrowed from the library. When my brother was eighteen, he broke his arm in an accident that ended in another young man's death. I wish I could tell you that we mourned the boy who died, but we did not. He was the one with murder in his heart and, sure enough, death found him that night. Funny how that works. Page 57 (Page 56 is blank): "I learned to ride a bike well and fearlessly that summer I was six years old because I was trying to keep up with two fourteen-year-olds." My thoughts: It's been a while since I've read a book by Lippman, and I'm eager to dive into another of her captivating stories. From Goodreads: The bestselling author of the acclaimed standalones After I’m Gone, I’d Know You Anywhere, and What the Dead Know, challenges our notions of memory, loyalty, responsibility, and justice in this evocative and psychologically complex story about a long-ago death that still haunts a family.